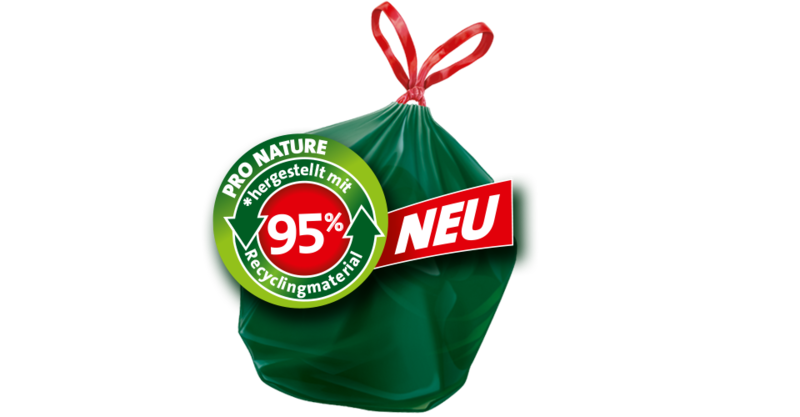 If the environment is close to your heart then you will use Swirl® Eco Bin Liners. Made of 95% recycling material, guaranteed tearproof and waterproof! A drawstring to pull, tie and carry, to make waste disposal naturally easy. 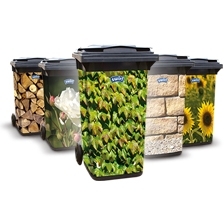 Our Eco bin liners offer all the excellent Swirl® features, which help you to run your household the way you like. Whether you act ecologically from conviction or you just want to contribute something to the environment by the way, Swirl® Eco bin liners are just the right thing. Although made of 90% recycled material they offer the same tried and tested tear resistance and waterproofness as other Swirl® products. And they also have a practical drawstring, making them easy to close. It can be this easy to save the environment! Pull together on the topic of ecology.